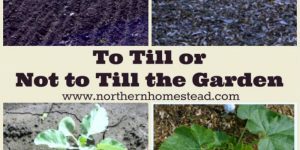 Once the tomatoes are in the ground and growing they will need support. 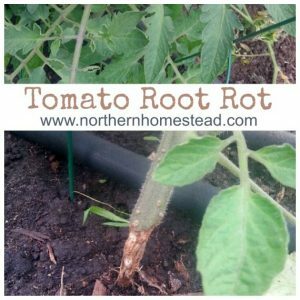 There are many ways how to support tomatoes, once you understand what tomato plants need there is almost no limit to your imagination. 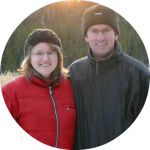 However, we have two favourite methods that have worked great for us for many years. Why does a tomato plant need support? 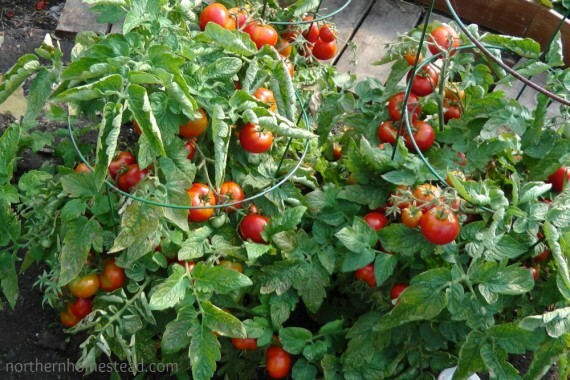 When it comes to support, there are two different tomato plant varieties: vine and bush tomatoes. Vine type tomatoes are the most common tomatoes gardeners grow. Long season tomato varieties are all vine type plants (also called indeterminate). These are plants that grow and grow as long as the weather and/or the environment allows it. If not given any support, these plants will vine on the ground and become one massive plant that will often kill itself by getting diseases from the moist surface of the earth. 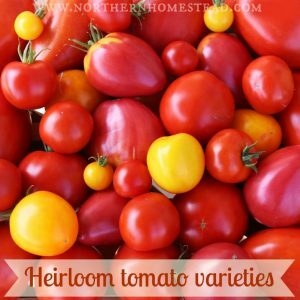 Even though they are called vine type varieties, tomatoes do not climb on their own. They do need support and help to hold on to the support. All the determinate and most dwarf varieties are a bush type tomato plant. 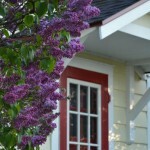 You can also prune a vine type plant back to be a bush. 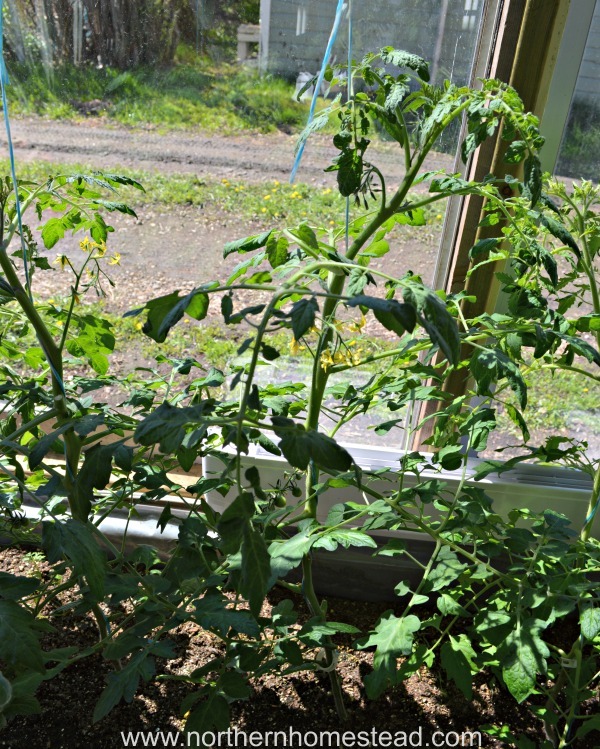 A bush type plant does not need as much support as a vine type tomato plant does, but does appreciate some support in a cage. 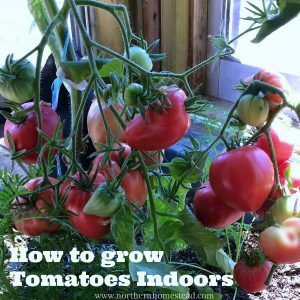 Only very few tomato varieties do not need any support because they are small and sturdy enough to stay in form on their own, or they are a dwarf variety that does great in a hanging basket. These plants are really the exception. Before you plan your support you need to know what you got. Do you have an indeterminate vine type plant that will grow very tall, or do you have a determinate or dwarf bush tomato plant? A seed package will tell you that. 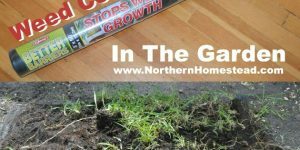 If in doubt, just google your plant’s name and in most cases you will find a seed company with all the needed information. Since vine type tomato plants (also called indeterminate) continue to grow during the whole growing season, they need support that is tall. 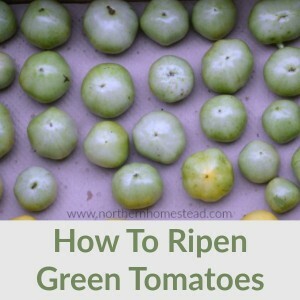 Also, it will make a big difference on your choice of support if you prune a vine type tomato plant back to a single stem or if you let everything grow into a huge bush. We prefer the single stem method. 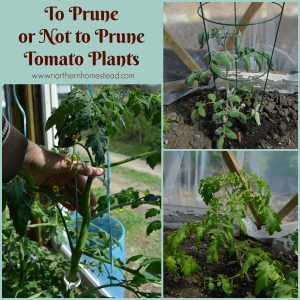 Read also: to prune or not to prune tomato plants. 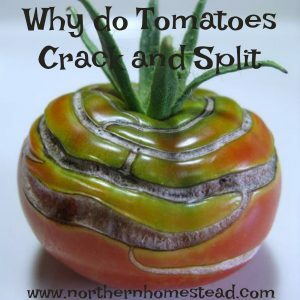 When we first started growing tomatoes we used a Spiral Stake. It worked, but we noticed that tomato plants can outgrow a stake rather quickly. 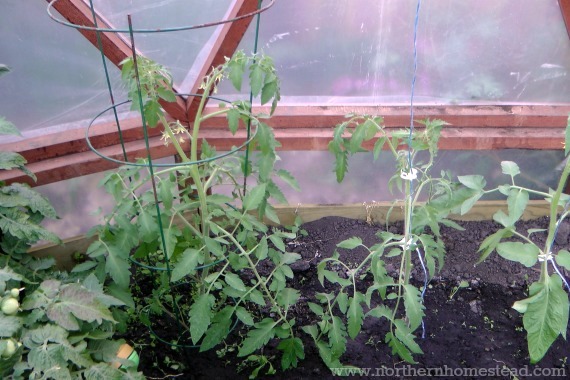 If you grow an indeterminate cherry tomato plant in a pot leaning onto a wall, a stake is a great option for that. In the greenhouse we started using twine with clips. This method allows us to grow plants as tall as we would want them to be. 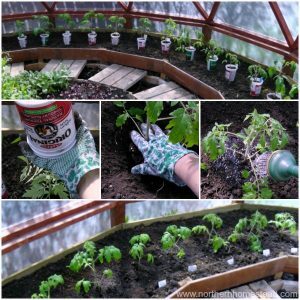 It is an easy and inexpensive support method very suited for greenhouse growing. To use twine with clips you will need a structure to hang the twine onto. 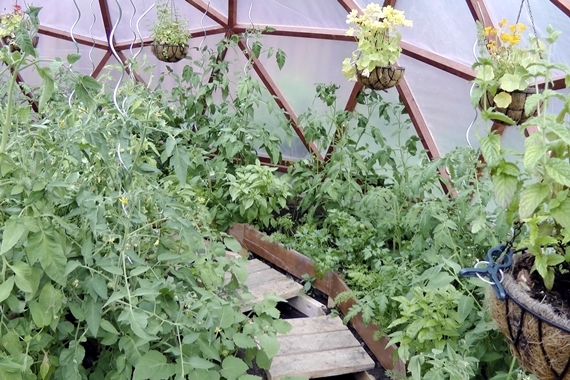 In our greenhouse we use a galvanized steel cable that we hang all the twines on (see picture below). 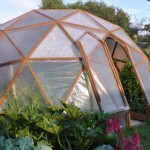 You can also work with the structural support of the greenhouse and string the twine on that. 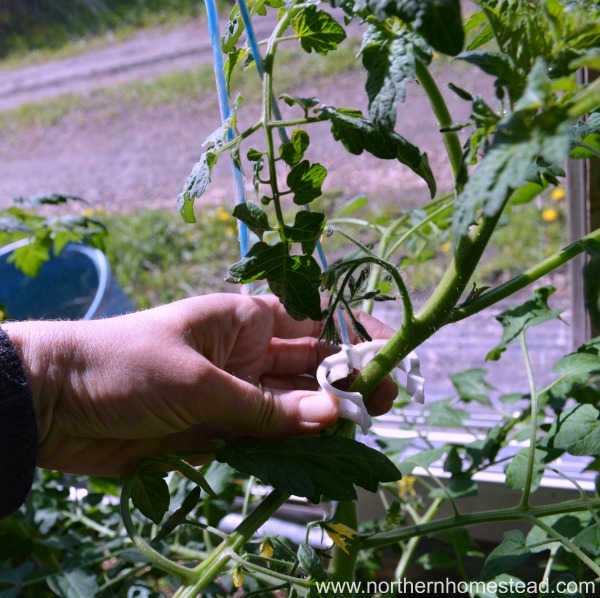 We often use one or two clips at the beginning and after that just wind the plant around the twine. This way we use less clips. For the garden, an archer trellis seems to work great. Personally we do not grow vine tomato plants in the open ground because of our short growing season. 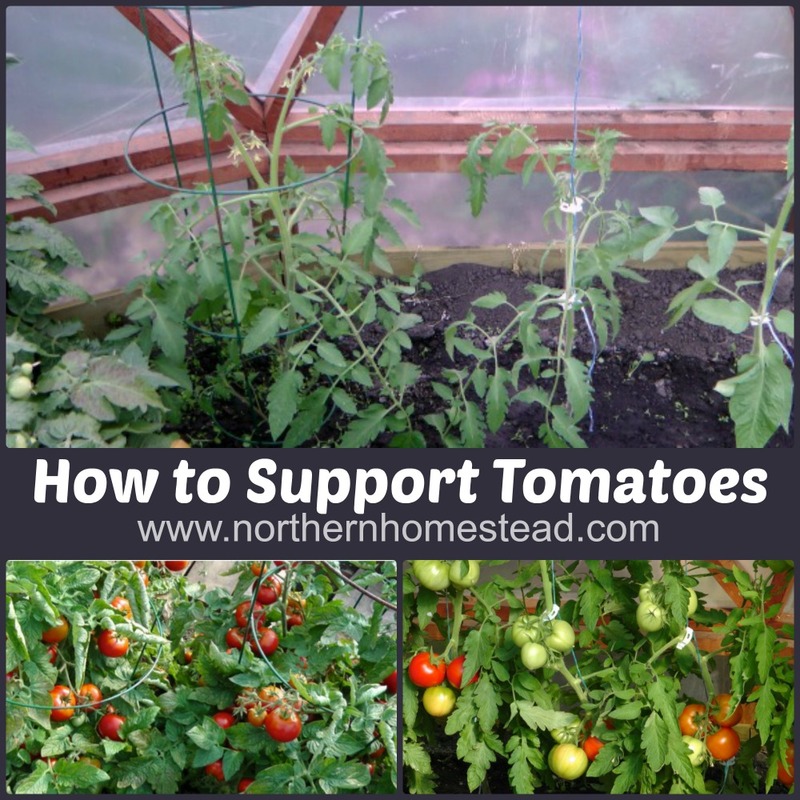 But if you do, this is a great way to support not just tomatoes. Photo credit to Little Veggie Stand. For bush type plants we use a simple support cage. 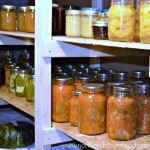 For our short growing season that’s all that is needed. 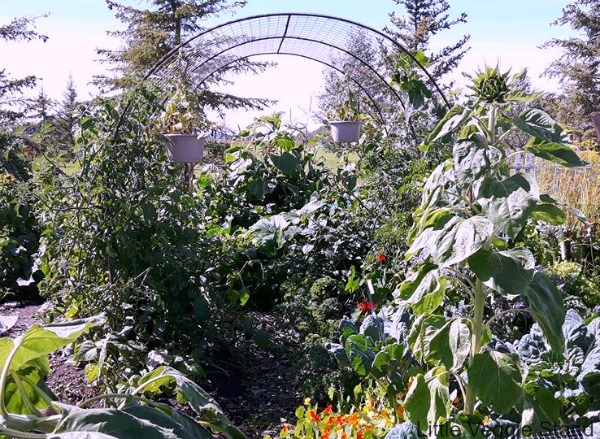 I must admit though that sometimes at the end of the season when plants are loaded with fruit, the cage has to work hard to keep everything straight. 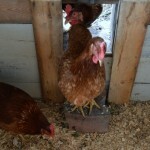 It is important to use the support cage as soon as the plants are transplanted. 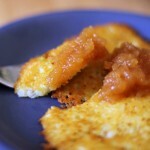 There is no way to add the cage later in the growing process. As long as the plants are small, the cage can easily be established. Even if it seems you still got plenty of time, add the cage, you might be surprised how quick those plants grow. 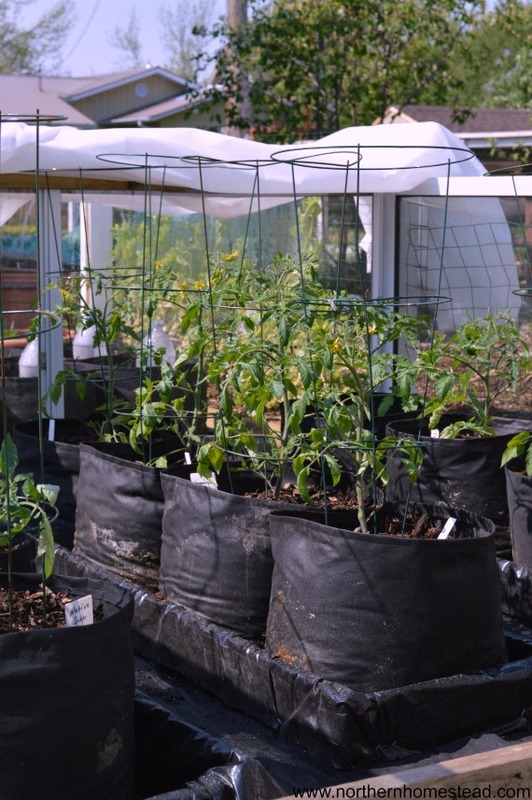 The support cage also works great for container gardening and grow bags. 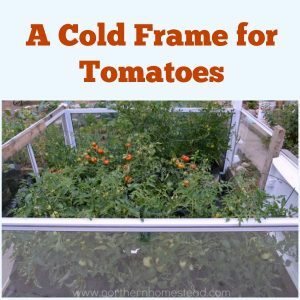 Another advantage for bush type tomatoes in cages is the ability to protect them from cold and frost. 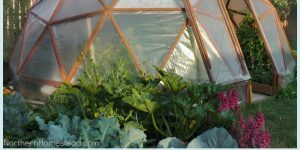 Every cage can easily become a little greenhouse by wrapping a Frost Blanket around the cage. 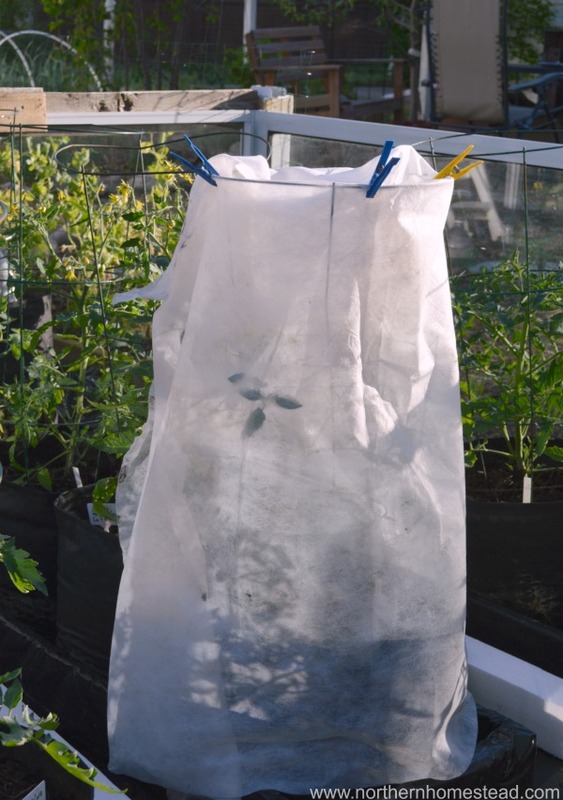 The light weighted blanked can be left on for days to give the plant protection as needed. 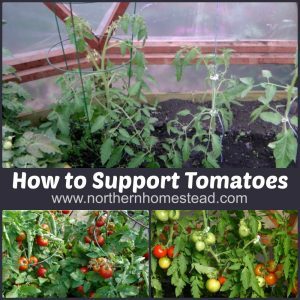 What is your favourite way how to support tomatoes? Please share in the comments below. I have had no success “yet” growing tomatoes because of cool temperatures here and I have yet to make that raised-bed-mini-greenhouse-tomato-box…but…I have had some come up in garden compost. Last year one came up in the shadiest part of my garden so I knew there was no hope at all for it!…….but…what a joy it was when walking by to take my hand and gently caress a branch and breath deeply of it’s scent! Amazing! 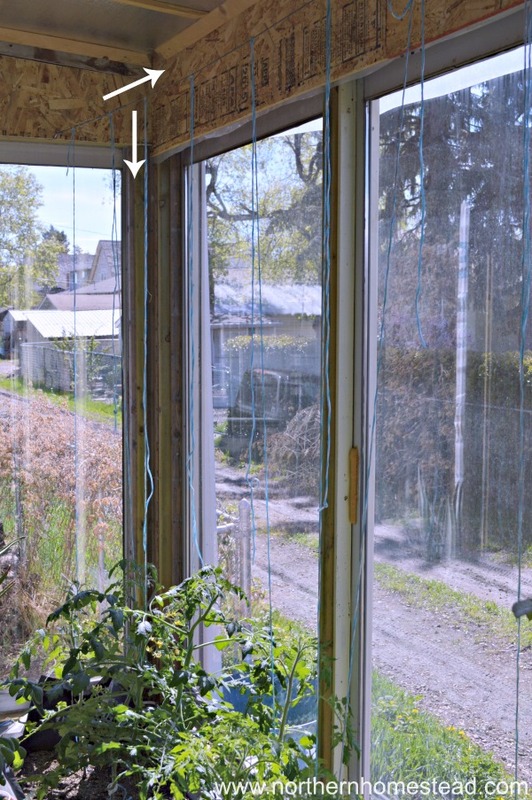 I saw a video some years ago of a couple who grew tomatoes in their greenhouse and they had this “contraption” built on the concept of how a window blind works that they could raise up and down. It also reminded me of a weavers loom. Their plant was huge and they trained the side branches to catch the sun rays so the harvest was amazing. 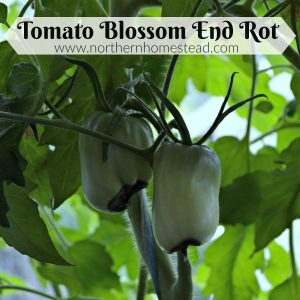 Hope this will be the year for you to grow great tomatoes. 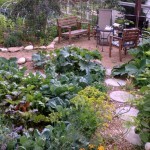 Just find the warmest spot in your garden, make sure the soil is good and grow!